I recently interviewed Jonathan Boos from Wurkin Stiffs. 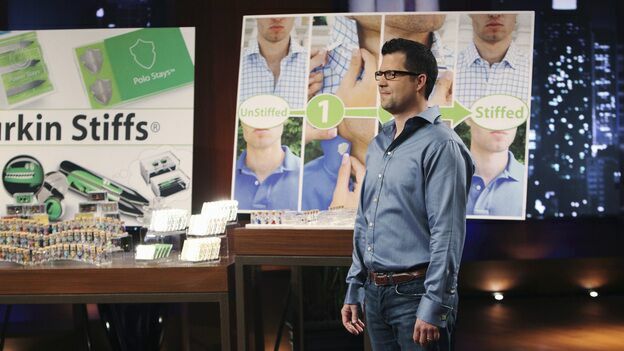 Jonathan appeared way back in Shark Tank season two with his magnetic collar stays business. We talked about the appearance, what he's been doing since, living in Florida, and his new product. At least he got it half right - Jonathan got "boos" for this answer!